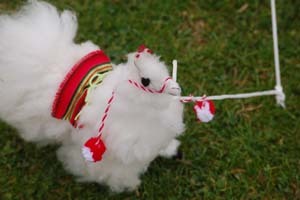 The Peruvian national cricket team, the Llamas, have been active since 1995, when they participated in the first South American Cricket Championship (SAC) between Argentina, Brazil, Chile and Peru. Originally a bi-annual tournament, Peru has participated in all but one (also hosting three), with early highlights being a victory over Venezuela in 2000 in Buenos Aires; and a narrow loss to a strong Argentina A team in 2004 in Santiago. These triumphs were usurped in February 2008, with Peru’s first official, international victory over Brazil at the ICC Americas Division III Championship in Buenos Aires! Affiliation to the ICC injected new life into Cricket Peru’s international itinerary, with involvement in the World Cricket League, an official World ranking, and participation in bi-annual championships with the opportunity to be promoted or relegated. Peru participated in the ICC Americas Division III Championship in Santiago, Chile in October 2009 coming last out of four teams. But in March, 2011, the Llamas really bounced back at the ICC Americas Division III Championship in San Jose, Costa Rica, by winning four out of five games, including the prized scalp of Chile … along with those of Mexico, Costa Rica and the Falkland Islands. Sadly, the Division III Championship was scrapped by ICC Americas, so to fill the gap, Cricket South America decided to make the SAC an annual event. 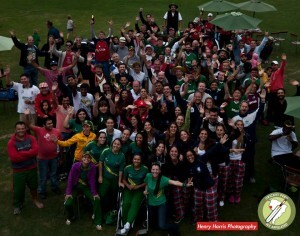 As a measure of the development of the men’s team, Peru defeated both Chile and Mexico at the 2014 SAC, held in Lima – the first time they had won two matches – and only missed out on the final on number of wickets lost. The 2016 SAC, in Rio de Janeiro, saw The Llamas win 3 games out of 5, to take third place, and a Peruvian player, Miles Buesst, walked off with both the Bowler and Player of the Tournament awards. The SAC in 2017 was held back in Buenos Aires, and again Peru won 3 games – this time out of 6, as Uruguay had been added to the roster.